The PUR RF-3375 faucet water filter reduces chlorine taste and odor, asbestos, atrazine, lead, lindane, and mercury. The PUR RF-3375 also removes 99.9% of microbial cysts, cryptosporidium and giardia. 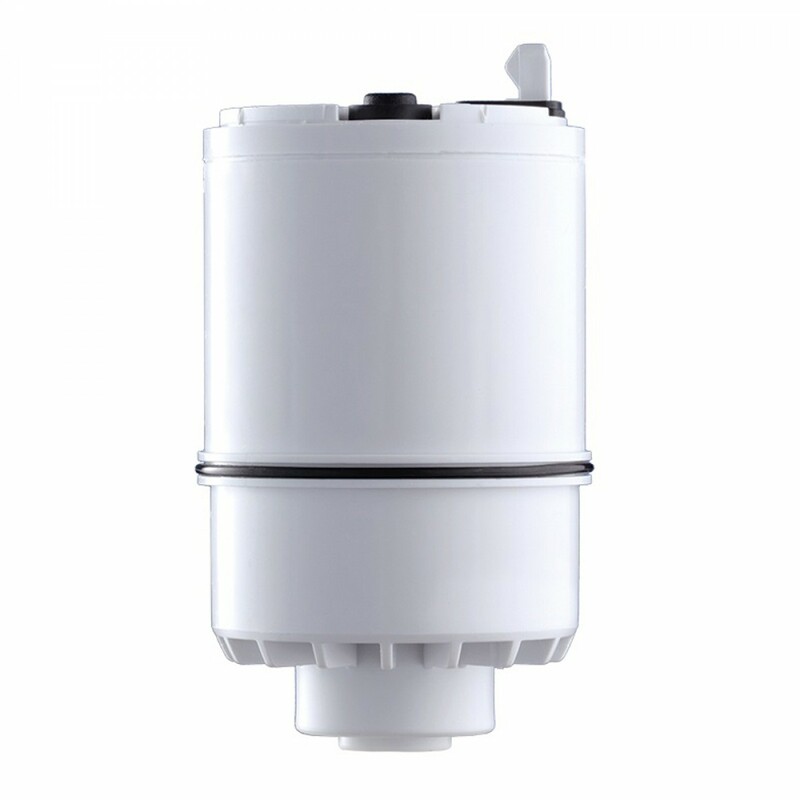 The PUR RF-3375 is a 2-stage faucet filter that filters up to 100 gallons (378 liters) and should be changed every 2-3 months. How the PUR RF-3375 Filter Works: Stage 1: Added layer to trap sediment. Stage 2: Contaminant removal. The activated carbon microfilter removes 99.9% of the microbial cysts cryptosporidium and giardia. It also reduces Lead, Asbestos and Mercury.